Ida Nilsson from Sweden, Norwegian Stian Angermund-Vik, and SA's own golden girl, Megan Mackenzie, will be among the top 10 men and women marathon-distance trail runners in the world competing in the grand finale of the Golden Trail Series at the Otter Trail Run this Saturday. Here, these formidable athletes spill the beans on what makes them great. Ida Nilsson: My ideal training week includes two quality workouts (either hill repeats or intervals), easy runs, and one long run. My typical training day consists of a two- to three-hour run in the morning, followed by an hour of easy running in the afternoon. I try to do strength training at the gym two to three times a week. I’m a versatile athlete: during winter, I ski. I compete in five 80km ultra-distance trail-running races a year; but I also compete in 10-K road-running races, and recently I did a 30-K cross-country race in Sweden. Ida: It takes me longer to run 160km on some of the mountains in Norway than it does to cover the same distance on mountains in the US, because they’re steeper and the terrain is more technical. Stian Angermund-Vik: I run twice a day. I sell shoes, so often that means running to work and back. To prepare for a marathon-distance trail-running race like the Otter, I like to do long intervals. It’s then that I can stop talking to people and appreciate nature. Ida: I’ve been training in the parts of Sweden where there are rocks and boulders, similar to what you’d encounter on the Otter trail. Ida: I never do a morning run without eating breakfast first. During summer, I opt for a smoothie made with berries, bananas with muesli, or two slices of bread with cheese and an apple. In winter, I find a hearty bowl of porridge comforting. For lunch, I either eat leftovers from the night before, or I throw together a quick-and-easy omelette and a side salad. Dinner is usually a staple with vegetables and beans I’ve grown myself. Ida: Don’t be too strict with your life, because it’s also important to relax and allow yourself to recover. I like to have a glass of wine or two, indulge in good food, and hang out with friends. Ida: If I manage eight hours of sleep a night, I feel great. I go to bed at 10pm and wake up at 7am. I’m neither a morning or an evening person: I’m a boring ‘inbetweener’! Megan Mackenzie: I tend to get anxious about the race result, and I put pressure on myself to perform well. I had given up so much – my husband and I sold our cars, gave up our lease and quit our jobs to travel across the globe in a camper van, competing in the Series. But travelling opens up your eyes to a whole new world. There’s so much to see and do that racing becomes an aside. You’ll still wake up the next day, no matter what. That helped me to relax, and not to feel so anxious about the results. Megan: Before any race, I prepare myself for the worst; so that if it does happen, I already know how I’m going to deal with whatever is thrown at me. I decide to react with positivity, self-acceptance and courage. Megan: All athletes suffer from either minor confidence issues or major insecurities. Running opens you up to self-judgement, so boosting your confidence is important. Train and race from a process-oriented perspective: realise that the end is not actually the end; rather, it’s another lesson. As you learn from each lesson, your confidence will increase. Stian: We’re all fighting for second position, because we know Kilian [Jornet] is the best. 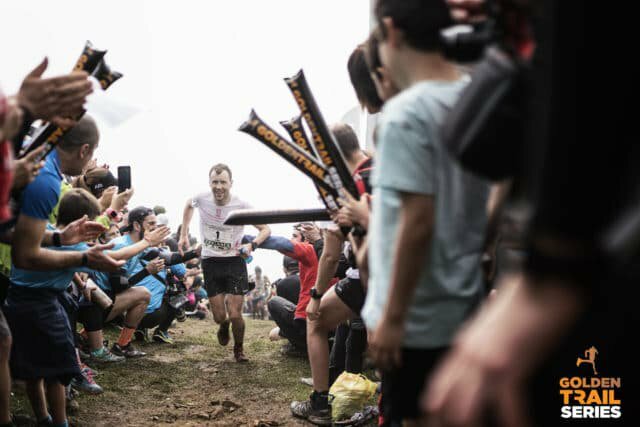 Last year, I came second, just a few minutes behind him, at the Marathon du Mont Blanc – I was happy with that. But Kilian is human, which means he can make mistakes or have a bad day, just like the rest of us. 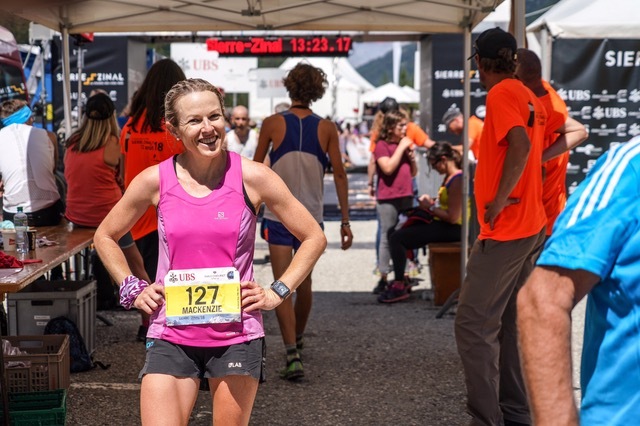 He has developed a hip problem, and as a result he ran super-slowly at the Limone Extreme Skyrace last Saturday. It’s possible I could beat him, but that isn’t my goal. If I win, I want it to be a fair race, and not because someone else is injured. Megan: The international athletes who will compete in the Otter for the first time this Saturday may have an advantage. Think about it: you’ve already raced a certain race a number of times, you may remember sections of the race being tough in previous years, which may make it more difficult for you to push yourself to your limit, because you’ll be holding back in anticipation of that section. 13. And Remember: You’re Not The Only One! Stian: When the going gets tough, I try to remind myself that things could turn around. The guys racing next to me are suffering too. Maybe that guy who is two minutes ahead of me now is pushing too hard, and he’ll slow down towards the end.